I love my Kindle reader and it makes reading books in different languages much easier by using dictionaries. There are plenty of dictionaries available but I could not find Vietnamese to English. Fortunately, you can make it yourself and it’s not that hard (if you know a bit of programming of course). First, you must find a decent dictionary in any format. I had it as a sqlite database. Second, you must convert it to HTML/OPF pair. 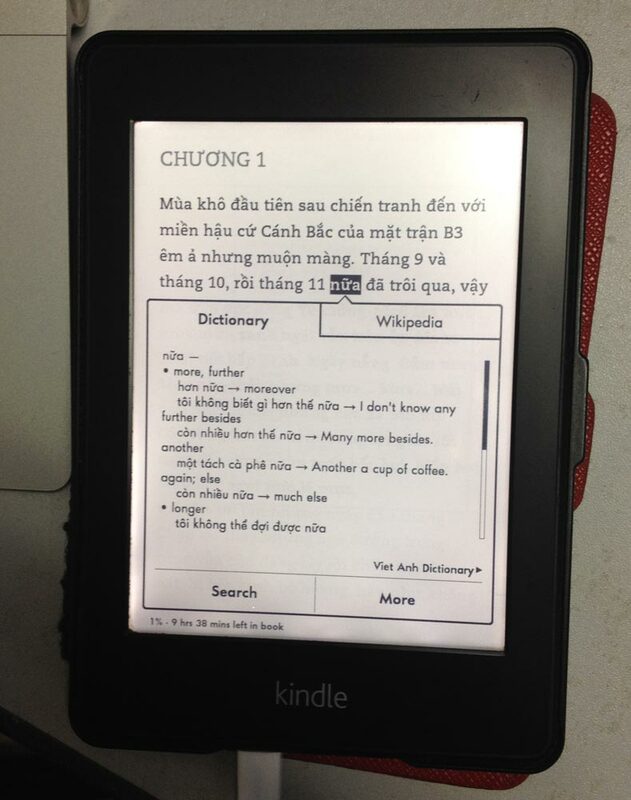 Be careful to keep the Byte order mark, otherwise you’ll get garbled text in place of Vietnamese characters. You must also add cover image or it won’t be recognized. I’ve also created Vietnamese to German and Vietnamese to French dictionaries from the same database but I haven’t checked those, please let me know if they are ok.